EN is excited to introduce a new six-part series from William Micklem on the need for breadth in eventing education, along with some thoughts on the breeding of event horses, plus a little added value from the inimitable Harry Potter! If you missed Part I, check it out here. Here is Part II — enjoy! With regard to making the effort to get a wider breadth of education we are guilty of thinking it is all too difficult, and again lacking belief in what is possible. As Harry Potter said to Dumbledore’s army in Harry Potter and the Order of the Phoenix, “Working hard is important. But there is something that matters even more, believing in yourself. Think of it this way; every great wizard in history has started out as nothing more than what we are now, students. If they can do it, why not us?” So my question is, why cannot more of our young riders aim to emulate the best? I believe it is particularly beneficial to study and use top event trainers and event riders who have had high level experience in at least one other equestrian discipline. This in large part explains the exceptional value of both my first two examples of those who stretched the boundaries and broke new ground. In addition to jump training both Jack Le Goff and Bert de Nemethy had high level training and experience in dressage, and in Jack’s case had also studied the training of racehorses. As we all get driven into the blinkers of specialization this point is of the greatest importance. In eventing all round knowledge is vital for both competitiveness and rider safety. George Morris said this about these two Gods of modern equestrianism: “I’d say that in my run in the sport that Jack Le Goff is one of a very small handful of what I call genius … and the same can be said for Bert de Nemethy, who took us to a whole new dimension of riding and training horses.” However what I would say is that 95% of their genius was simply down to their good training. Both are famous for their jumping training but dressage was the core of both Le Goff’s and de Nemethy’s jumping work. De Nemethy was the first Hungarian officer to be sent to the German cavalry school of Hanover, where he rode with such dressage luminaries as Bubbi Gunther and Otto Lörke, who was in charge of the dressage stable. And who was riding for the French horse trials team at the 1960 and 1964 Olympics and was stunned by the dressage standard of the Germans, who were just emerging as the new world leaders in dressage? None other than Jack le Goff, who was immersed in dressage at the time as a member of the Cadre Noir in Saumur. Their results in the USA were extraordinary. Jack Le Goff arrived from France in 1970 to take over the Event Team. He never missed winning a medal with any of the eventing teams that he coached in his 14 year tenure in the United States. His teams won gold medals at the Olympic Games in 1976 and 1984 and a total of 18 medals in eight international championships including four consecutive Olympic Games and three consecutive World Championships. Bert de Nemethy was the Hungarian coach who took over the show jumping squad in 1955. Over the following 25 years he gave a system, a style and a character to USA show jumping teams that was envied throughout the world. The fruits of the de Nemethy years were really reaped at the 1984 Olympic Games in Los Angeles, only a short time after his retirement from coaching, when the USA took their first team gold medal, and the individual gold and silver as well. My third exceptional example of multi- discipline ability is Bill Roycroft, Australian five-time Olympian event rider between the ages of 45 and 61, and a man who who holds a very special place in world equestrianism. In addition he established a training dynasty with his three sons Barry, Wayne and Clarke, who all went on to compete in Olympic eventing. As head coach, Wayne also led the Australian team to three consecutive Olympic eventing gold medals from 1992-2000, and the basis of his expertise was what he learnt from his dad. Bill was one of the elite band of event riders who also raced successfully, but what is even more amazing is that he evented, show jumped and raced at the highest level on the same horses! In 1965, at the age of 50, he brought three Thoroughbred horses over to Badminton, finishing second on El Dorado to the great Durlas Eile, sixth on Stoney Crossing, and second on Avatar in Little Badminton. He then spent the summer after Badminton competing El Dorado in grand prix show jumping, and they were on several Nations Cup teams at the highest level. More remarkably, the month before Badminton, Stoney Crossing, who was just a 7-year- old, gave Bill his greatest experience of race riding by finishing third to Arkle and Mill House in Britain’s premier steeplechase, the 3¼-mile Cheltenham Gold Cup. Bill and Stoney Crossing went on to start second favorite in the hugely competitive 4-mile Foxhunters’ Chase over the Grand National fences at Aintree. They were tripped up by a faller at the fourth, and Bill was unseated, but he remounted to complete the course only 35 lengths behind the winner. My fourth outstanding example of versatility was Anneli Drummond-Hay, great aunt of current British team star Izzy Taylor. Anneli rode the peerless Merely–A–Monarch, who won both Badminton and Burghley in 1962 before turning to show jumping, winning many grand prix classes and jumping on British Nations Cup teams. Drummond-Hay was also once offered an open check for him as a dressage horse, and he remains the finest multi-purpose horse I have ever seen in the flesh. He was by the wonderful Thoroughbred Happy Monarch. Out there are the heirs to Bill Roycroft and Anneli Drummond-Hay who might well start looking at the glorious goal of not only being successful at the highest level in more than one discipline, but doing it on the same horse! It will only happen once in a blue moon but that is what makes it so special. A little crazy yes, but not impossible, and in my next article I will discuss this in greater detail. But coming back to sanity, the really important point is that at a lower level we should have hundreds of young riders benefitting from a broader equine education, including stable management. Without a doubt my broad education was the launch pad for my own career as a coach, and I believe that the cross-fertilization and mind-opening benefits of breadth in equine education are just too powerful to ignore. Most importantly it also opens up more employment opportunities for those who want to spend their lives with horses. There are currently two outstanding Irish riders who are stretching the boundaries by being both top jockeys and show jumping riders. 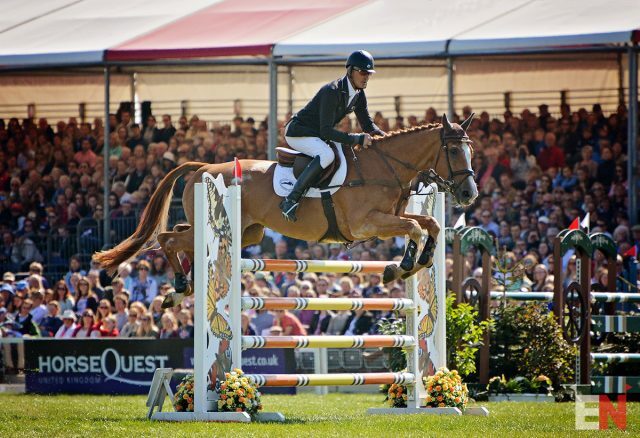 Mark Beecher, winner of the Maryland Hunt Cup in 2014 and leading timber racing jockey in the USA, is also a top level show jumper having achieved international honours ever since he was a pony rider. The same applies to Robbie Power, brother of Irish international Isab Power, who won the Cheltenham Gold Cup this year, the world’s premier steeplechase and is also a top-flight show jumper when time allows. As with many Irish riders they are genuinely all round horsemen who have high level skills in several areas. This is the background to why so many Irish riders are so successful in so many equestrian endeavours at all levels in Europe and the USA. We need to do more to convince the next generations of young riders, and their parents, why this is beneficial. Then we need to do more to create a breadth of opportunities, and more to encourage change. There is strong evidence that in their early careers both the best of the USA event riders, and the best of the current crop of New Zealand and Australian riders, had this wider riding background and character forming experiences. It may just be the difference that wins team medals. My own Father was a horse dealer and we also just had to accept that our favourite ponies were always for sale, but it did mean we gained a wide experience and the same applied to Andrew. However he did have a great Pony Club and Junior period where the influence of two extraordinary coaches left their mark on Andrew and undoubtedly was instrumental in his future career and also the careers of Mark Todd and Blyth Tait. These two coaches were both also ahead of their time, teaching a light seat jumping balance ideal for eventing. They were New Zealand Fellow of the British Horse Society Lockie Richards and English maverick Ted Harrison. It was one of those rare times when the planets aligned for the long-term benefit of a country’s international success. Mark, Blyth and Andrew were all influenced directly or indirectly by Lockie Richards who led Mark and the New Zealand team to Kentucky for the World Championships in 1978. Lockie was a Fellow of the British Horse Society and was fully aware of world class standards and yet again was an all round horseman who was equally comfortable with dressage and jumping. Ted Harrison is more interesting in the development of Andrew’s winning mentality because Ted took no prisoners and was an old fashioned disciplinarian whose core attitude was ‘people don’t remember those who come second.’ He was a good rider himself producing a horse called York to win the second three day event ever held in New Zealand, before being sold to Denny Emerson and winning USEA ‘Horse of the Year’ in 1979. Ted described himself as self-taught but in his travels in England, Australia and New Zealand he amassed a huge repertoire of information about all horse activities including dressage. Therefore in reality he was an exceptional student. His wife Carol says “His biggest influence in his early years was ex Spanish Riding School trainer Franz Mairinger.” Despite the refinement this would suggest it was his no nonsense, tenacious approach that stayed with Andrew most of all. When Andrew left school he rode literally hundreds of different horses. “I worked for two different racing trainers in the morning riding yearlings before breakfast, then I would go to a professional horse breaker and ride another 20 for him.” So he was another rider benefitting from exposure to racing, but he also benefitted from being allowed to experiment and practice in many different ways to find better ways. When this huge experience, and freedom to experiment, is combined with exposure to greatness and the willingness to stand on the shoulders of giants, then the real magic can happen. As even Andrew admits “I wish I had learnt a little more about the dressage earlier on!” But he has always been brave enough to look for better ways with the aim of being exceptional and stretching the boundaries beyond that even those of his own teachers. Not dissimilar to Harry Potter himself! Next Time: BREADTH AS WELL AS DEPTH (LESSONS FROM HARRY POTTER) Part 3 – Horses in the context of one’s life, and why breeding event horses is so vitally important.